Both Susan and I are looking forward to settling into some semblance of a routine. To that end, Susan resumed her Pilates class yesterday and I made it to the gym for some cardio, as well as some exercise. On our way back home, albeit at different times of the day, we stopped by Nacho’s and visited with him for a while. Susan paid a quick visit to the Mercado Central to pick up some fruit and vegetables and we then sat down to make the very difficult decision of where to have lunch. We debated going to either El Molinón or Ballando Nudi. Ballando Nudi won out. It was good to see Francisco after our two-month absence. We spent some time catching up and then took our seats and studied the menu board. It was obvious after a brief study of the menu that Francisco’s commitment to both organic and quality products has not diminished one iota. 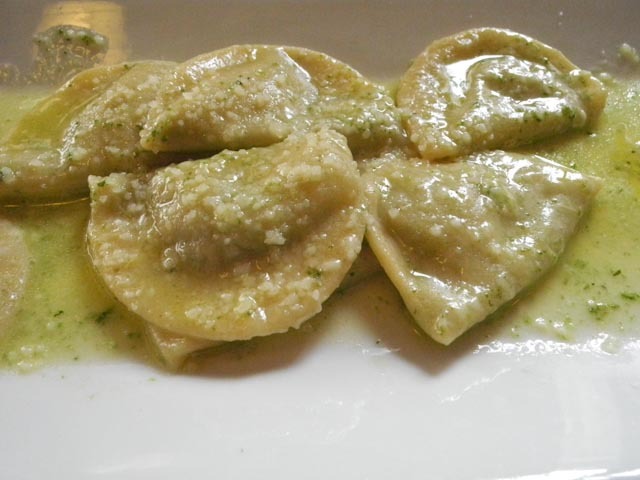 For our lunch we chose an ensalada balsámica, raviolis filled with pesto and a pasta Bolognese. Each was outstanding in its own way. This is not very complicated cooking where the focus is sometimes the arrangement on a plate and an unheard of combination of ingredients. 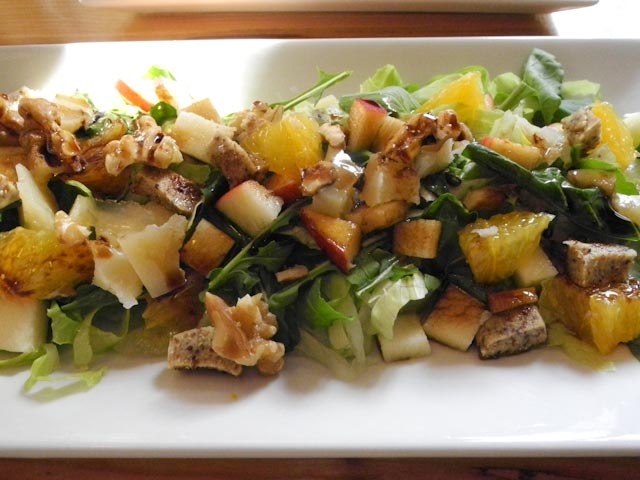 This is simple straight ahead cooking where the emphasis is on quality and good taste. We lingered a bit over coffee and a chupito and it was 5:00 o’clock when we walked through the door. We both took a late afternoon nap and the rest of our day was uneventful. We spent the evening reading and caught up with a news program on TV. I did receive a phone call from Jaime Gómez who teaches math at the Universidad Politécnica here in Valencia. Jaime is a fellow magician. It seems that this semester there is a visiting professor from Kansas and Jaime has proposed that we all get together for dinner next week. We chose next Wednesday as our target date. Susan and I went to bed a little after getting off the phone with Jaime.